Tim Barber recently joined Duncan Aviation’s Aircraft Sales and Acquisitions team, representing clients in the European, Middle Eastern and African markets. You may reach him at +44 2032 8789 86, +44 7836 352 676 or on SKYPE tim.r.barber. On Twitter https://twitter.com/Tim_bizav and LinkedIn https://www.linkedin.com/in/timbarber2. The Aircraft Sales & Acquisitions team is backed by a vast number of resources. Duncan Aviation touches every part of an aircraft and the company has first-hand knowledge of how corporate flight departments function to further business goals. Clients who work with the Duncan Aviation team have access to the entire spectrum of knowledge and experience that the company’s 2,200 team members located worldwide provide. Since inception, Duncan Aviation has undertaken more than 3,250 aircraft transactions. In addition, the company services more than 2,000 aircraft per year. Everyone is talking about the pre-owned market being stronger at the start of 2018 than it was last year. However, I’m going to venture a guess that most of us have heard this story a good number of times year after year. In fact, the number of green shoots stories that were published throughout the period of the Global Financial Crisis really did wear thin with most of us in the sector. What actually happened was that we all started to ignore the spin and looked at such media with some considerable cynicism. The start of 2018 was a real whirlwind with a significant increase in deals, reducing inventory, and just about every broker attending Corporate Jet Investor London at the end of January was talking of a real market shift. At long last we were starting to see that buyers had choices. So did sellers. There was even bullish talk of it being a buyer’s market. In reality, then, as it is now, there are sectors of the market that are performing extremely well while a few are still lagging behind. According to AMSTAT, sales in January increased by more than 12% followed by sales reductions in February and March, bringing the end of the first quarter of 2018 to a disappointing 5% reduction in retail transactions. However, there’s a buzz in the market more so than we have seen in recent years. A few sectors really have come alive and whilst overall inventory for sale is now around 9.5%, there are many aircraft where the percentage is just 2% or 3%. Unfortunately, the overall market is hugely skewed by far too many older aircraft remaining for sale for far too long. The reality is that many will never sell and serve no real purpose other than to unfairly inflate the for-sale statistics. Looking at this in greater detail according to the latest AMSTAT data, 27% of the aircraft for sale are more than 30 years old. This statistic rises to 46% when considering those over 20 years. Just 21% are 10 years old or less. If we remove the aircraft that are probably never going to sell, the market statistics look a lot better. For now we are stuck with the skewed history. Even so, there’s a clear trend of reducing inventory over recent years and more importantly over recent months, as well as plateauing values so there are real signs of improvements. At Duncan Aviation we have had a promising start to the year and have seen a good number of sales and acquisitions complete during the first quarter. As a result of this, we are busy looking for new opportunities to sell aircraft. If you feel that Duncan Aviation can assist you in the sale or purchase of an aircraft for you, please don’t hesitate to get in touch. Please phone me at +44 7836 352 676 or email at Tim.Barber@DuncanAviation.com. You may also reach out to me via my LinkedIn or Twitter (@Tim_Bizav) accounts. If you are going to EBACE, please stop by our booth – #E89 – to find out more. Oh, and the hot sectors I mentioned earlier? I’m afraid you’ll have to speak to us to find that out! It always amazes me just how many people are caught out when they make the decision to sell their business aircraft, but when you look at the array of specialists offering to support the sales process, it is hardly surprising. It’s often said that in excess of 80%, as many as 85% perhaps, of all business jet sales transactions involve an appointed broker, so my primary focus here is to help guide you through this selection process. A professional broker should be a trustworthy and knowledgeable individual or organisation with excellent industry relationships and history. Ideally, they should not have any ownership interest in the aircraft (unless they do actually own it) and should be willing and able to provide a wide range of support. The following list is by no means exhaustive but is a useful aide memoire when you are speaking with a prospective broker. Firstly, are they a broker or an intermediary? There are many individuals purporting to be brokers who are best termed as “intermediaries” and whilst these individuals fulfil a purpose, it’s important to realise that they are not the ones overseeing your transaction. In fact, they will then take your aircraft to their “partner,” a specialist aircraft broker, who will manage the sale for them. However, they will have been squeezed on their fee. Whilst such arrangements can work, you may possibly have been better off paying your entire fee to the broker to focus his attention even more. Ensure the broker is actually selling aircraft they have inspected? In fact, it’s actually the records that are perhaps more important, so make sure that they intend to review the facts rather than selling “blind.” When an aircraft is marketed without this thorough check being undertaken, the chance of the deal falling over is likely to be significantly higher. Equipment lists need to be verified, maintenance status fully understood, confirmation of no damage history or indeed understanding the repairs or replacements that were undertaken if there has been an incident, how good is the paint and interior, and so on. In my experience, just about every aircraft owner believes their aircraft is the best one available, so it’s a good idea to have this verified. 1999 Gulfstream GIVSP currently available. Click on photo for more information. How much support is the broker going to give your aircraft in what is a very overcrowded market? Make sure that the advertising commitment is sufficient. There are many advertising portals available, but are they hitting page one of Google? A presence on their own website simply won’t be enough; they need to commit to pay for display on the likes of Controller.com and AVBuyer.com throughout the marketing process. If not, your aircraft will be largely invisible to buyers. Also check to see whether they are planning to run print media adverts in the leading aircraft sales journals. These are still an important source of leads as prospective buyers peruse such magazines in FBOs or on board their aircraft. 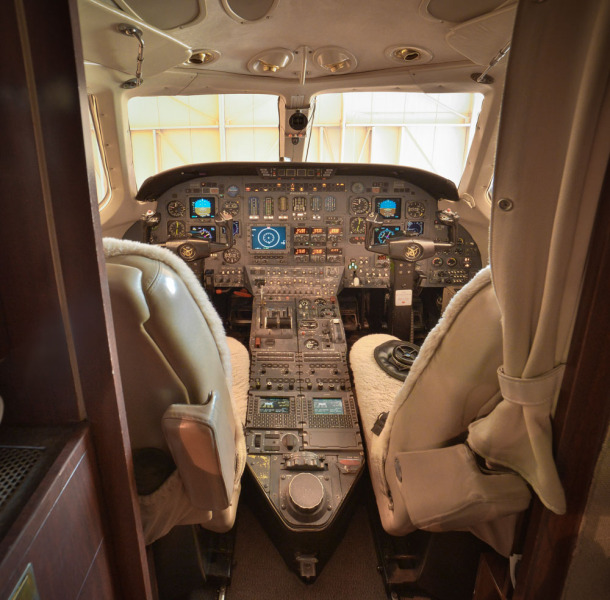 1987 Cessna Citation III currently available. Click on the image for more information. Increasingly, social media is an important tool in the sales process, so do ask what they are doing and then check it out by reviewing their online presence. Also, take a look to understand what they have done for their clients’ aircraft through the use of creative press. Getting your aircraft placed into editorial media can be very rewarding and a major contributor to a swifter sale. It is important that your aircraft is listed as being “for sale” on the trade databases AMSTAT and JetNet but you’ll be in the very lucky minority if this alone finds your buyer. Such tools, whilst vitally important for the trade, won’t get your aircraft exposed to the retail buyer. Any promise of “global databases of buyers” won’t be enough in isolation; you’ll need advertising, networking, telesales, social media and so on. How many people/offices do they have to commit to the sales process? Generally speaking, you will be better served by a team rather than an individual. And you’ll be even better served by a team that has vital connections to technical data like avionics upgrades, interior options and maintenance schedules. Sometimes, the slickest websites are run by a lone broker operating from a spare bedroom of a suburban semi, whilst purporting to offer a global network. Verify this by checking the facts; check out the other offices, the other individuals, look at their online and print advertising to see what other aircraft they are selling, and so on. Don’t be afraid to ask for references from satisfied clients. One phenomenon that you may have encountered is the existence of the extended chain of brokers and intermediaries. One contributing factor here is that some brokers are unable to secure their own exclusive mandates and therefore focus their attention on assisting with another broker’s sale or purchase. It is usually safe to assume that the longer the chain, the more brokers or intermediaries are involved and as a consequence there is more chance that the deal may fall over. Brokers who have exclusive mandates have every reason to give your aircraft 100% focus because they know that when they are successful, they will be paid. A non-exclusive broker will sometimes lose interest in your aircraft once they realise that it’s not going to be a quick deal or that there are too many other brokers punting it around the market. Pay them only when they have performed. Very occasionally you may find a broker seeking an element of upfront payment, but this is not the norm in the industry. Typically the agreed commission is settled from escrow, upon completion of the sale. However, if you have driven a particularly tight deal, then the broker may seek a compromise of payment for their travel to inspect the aircraft, usually with this sum discounted from the final commission. With purchase mandates, it is normal for an element of the commission to be advanced. Who is overseeing the sale process in your office? From time to time, we come across situations where the appointed representative for the sale of an aircraft is feeling vulnerable and therefore doesn’t provide all of the support and cooperation the principal assumes is being offered. The sale of an aircraft can often unnerve the individuals closest to it – pilots/crew, management companies, maintenance technicians, and so on – particularly when there is no clarity about a replacement. So, make sure that you don’t create such a conflict. How many competing aircraft do they offer? Much of my attention so far has been to ensure that you choose a credible partner but at the other end of the scale, where you are working with a known market leader, take a look to see how many similar aircraft they are currently offering. Ideally, you don’t want to be the oldest, highest hours or the most expensive of the 4 “identical” aircraft that they are selling at any point in time. Some owners believe that by giving their aircraft to multiple brokers they significantly increase the chance of it being sold or perhaps that they are getting better value for money, but this is rarely the case. The right broker exclusively mandated will give 100% to achieving a sale and protecting the online presence of your aircraft by preventing secondary, unauthorised marketing. With multiple agents working for you it is hard to retain control and before you know it, someone that you have never heard of is purporting to represent the aircraft but is offering it at a price well below what you would accept. This is not something that will ultimately benefit you or your aircraft. As for the value for money, the actual commission paid out to either broker will broadly be the same, so you just as well focus your efforts on working with the right partner. Follow these steps, make sure that you have a leading aviation lawyer, take good tax advice (as appropriate), be realistic in terms of pricing and disposal timetables and there is no reason that your aircraft sales experience won’t be a positive one. Whether buying or selling, getting the right support is key to the success of your overall experience. Tim Barber recently joined Duncan Aviation’s Aircraft Sales and Acquisitions team, representing clients in the European, Middle Eastern and African markets. You may reach him at +44 2032 8789 86, +44 7836 352 676 or on SKYPE tim.r.barber. On Twitter https://twitter.com/Tim_bizav and LinkedIn https://www.linkedin.com/in/timbarber2. 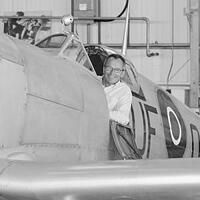 The Aircraft Sales & Acquisitions team is backed by a vast number of resources. Duncan Aviation touches every part of an aircraft and the company has first-hand knowledge of how corporate flight departments function to further business goals. Clients who work with the Duncan Aviation team have access to the entire spectrum of knowledge and experience that the company’s 2,200 team members located worldwide provide. Since inception, Duncan Aviation has undertaken more than 3,250 aircraft transactions. In addition, the company services more than 2,000 aircraft per year.